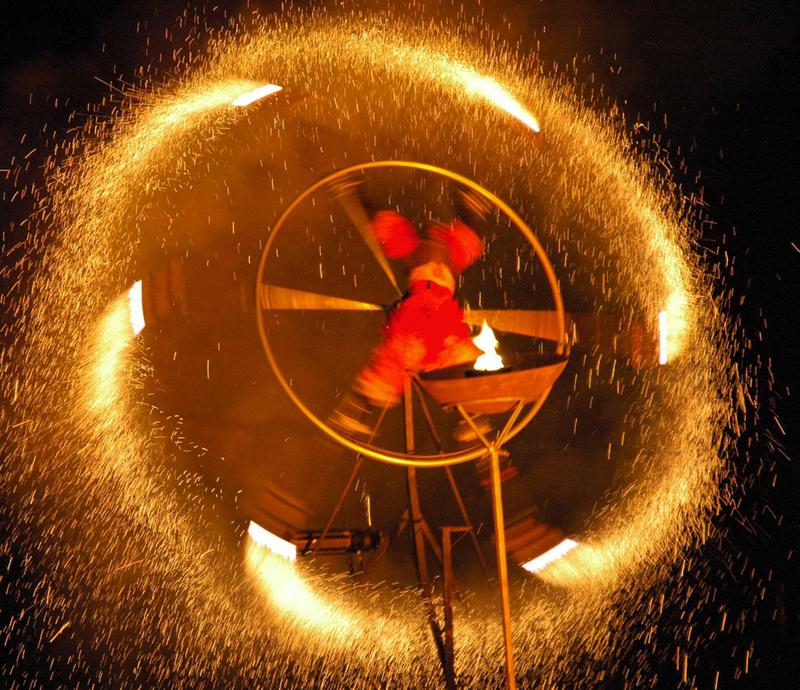 A Catherine wheel is a special type of wheel which consists of a spiral of pyrotechnic material which produces thrust as it burns causing the wheel to spin and also produces a spiral of sparks. The Catherine wheel is mounted at the center against a fence post or other solid object. As the Catherine wheel burns it's casing is also consumed, similar to a lance. This is different from a wheel created with drivers where the case of the driver is not consumed. The Catherine wheel is named for Catherine of Alexandria a 4th century saint ordered to be martyred on a "breaking wheel".